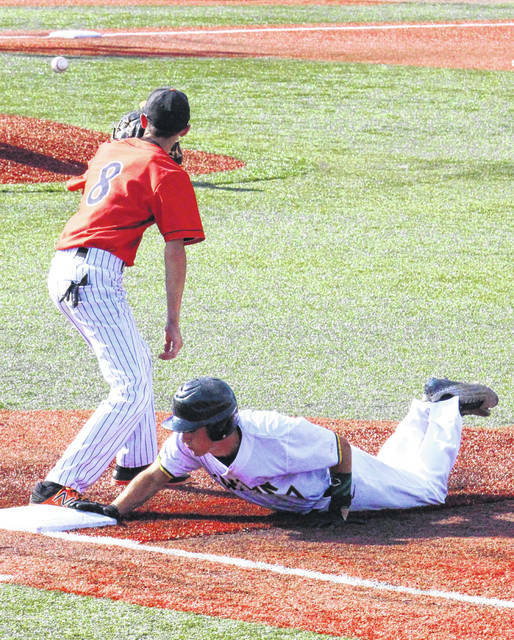 EHS junior Nate Durst dives safely back to first base, during the Eagles’ one-run setback on Friday in Lancaster, Ohio. 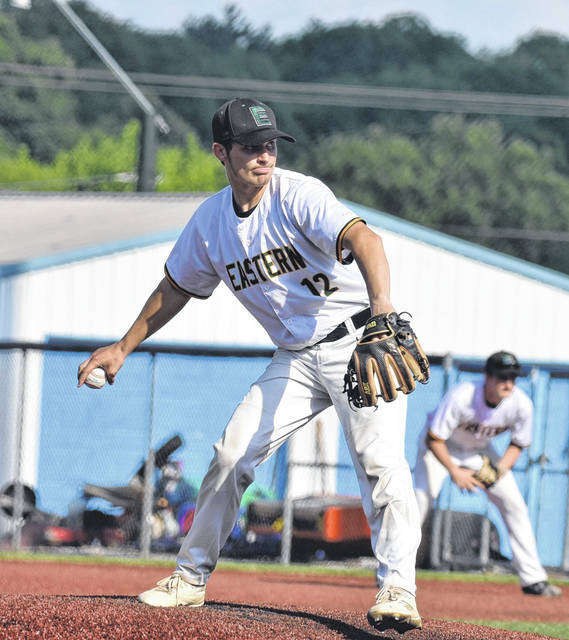 Eastern senior Owen Arix hits a one-run double, during the Eagles’ 5-4 setback in the Elite Eight on Friday in Lancaster, Ohio. 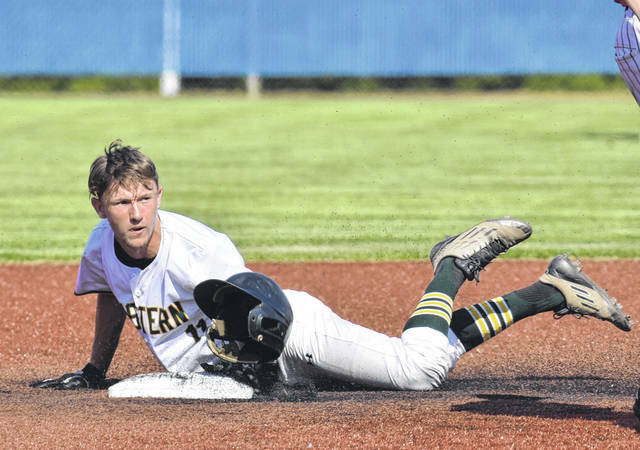 Eastern senior Christian Mattox safely slides into second base, during the Region 15 championship baseball game on Friday in Lancaster, Ohio. 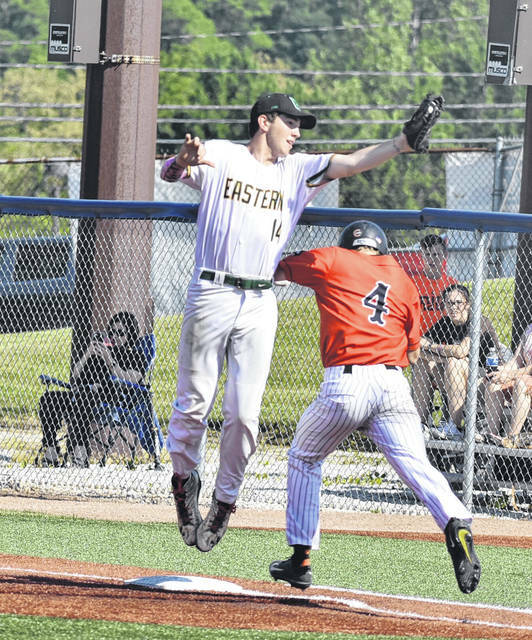 Eastern senior Kaleb Hill (14) leaps to catch a ball, during the Eagles’ 5-4 loss to Whiteoak on Friday in Lancaster, Ohio. 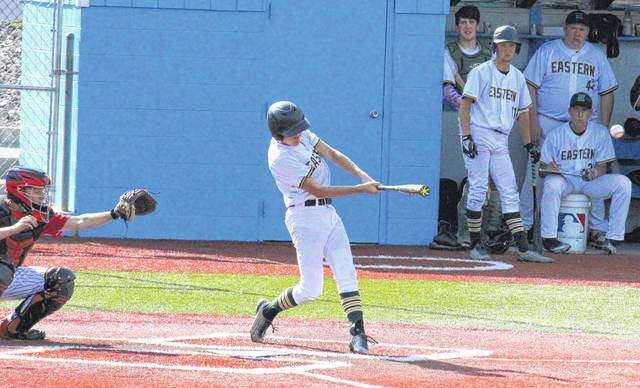 Eastern senior Austin Coleman delivers a pitch, during the Eagles’ one-run setback on Friday in Lancaster, Ohio.